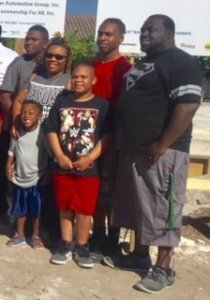 Habitat for Humanity of Broward held a groundbreaking ceremony on Wednesday to commemorate five homes for deserving families in the Roosevelt Gardens community of Broward. Dignitaries at the event included Broward County District 9 Commissioner Dale Holness, who thanked participants and sponsors for their commitment to make Broward better. 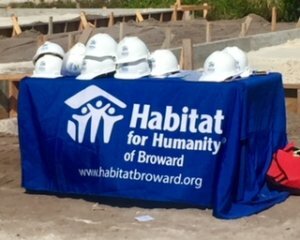 “Today we dedicate the ground upon which five future homeowners will build their homes in partnership with Habitat Broward, its generous sponsors, and its faithful volunteers. 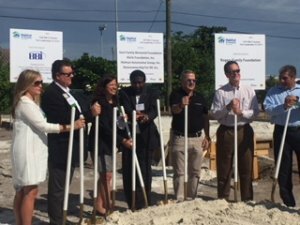 This groundbreaking marks the beginning of a new future for our homeowners, and an inspiring level of commitment by the philanthropic community which has made this day possible,” said Nancy Robin, CEO and Executive Director of Habitat for Humanity of Broward. Family Home Sponsors are: Burdette Beckmann Inc., Publix Super Markets Charities, and the Rogers Family Foundation. 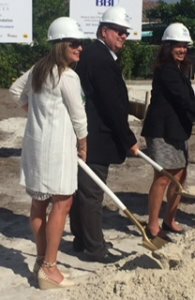 Other sponsors include the Gore Family Memorial Foundation, HG Charitable Foundation, 4Girls Foundation, Holman Automotive, Homeownership for All, and the Kiwanis Club of Fort Lauderdale Charitable Fund of the Community Foundation of Broward.